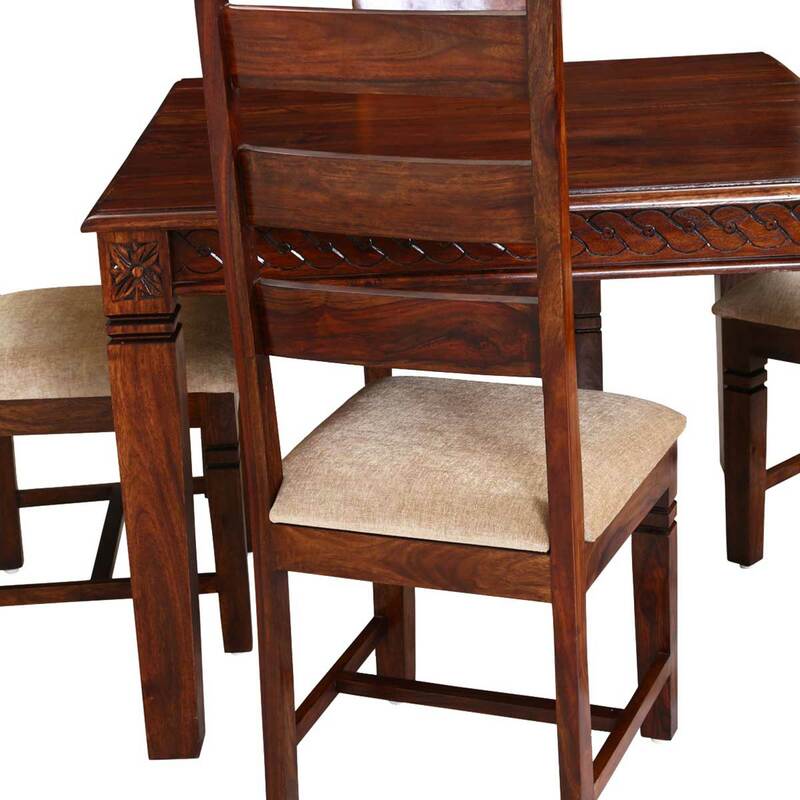 We offer a classic infused with comfort and hand crafted quality. 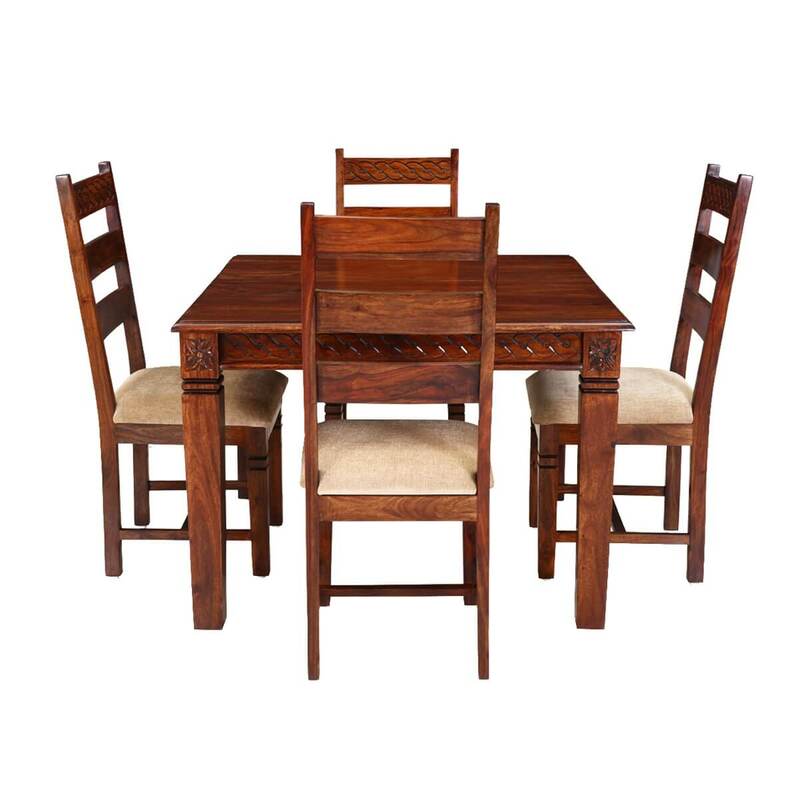 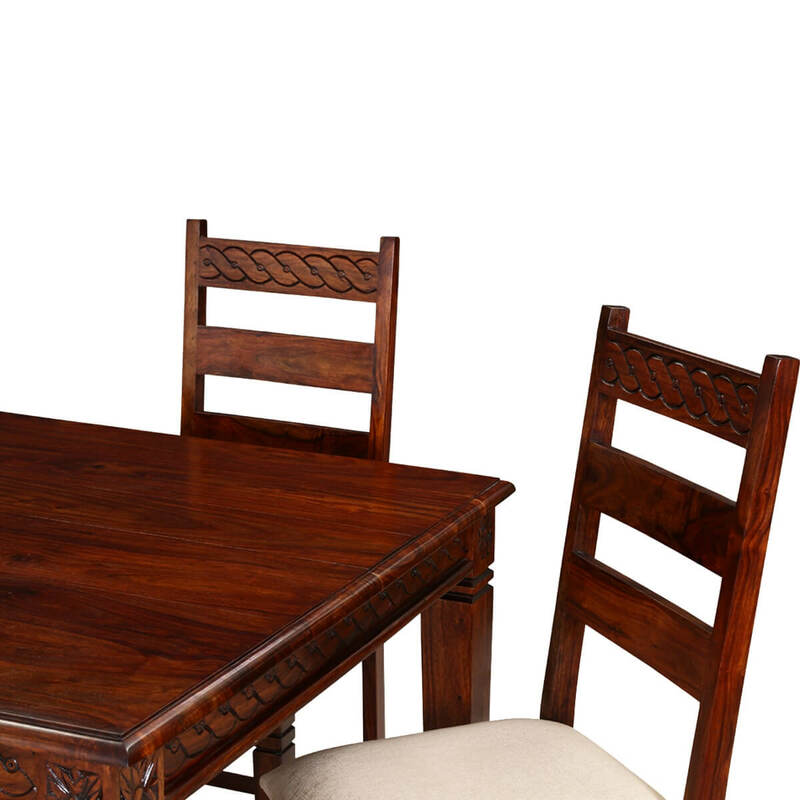 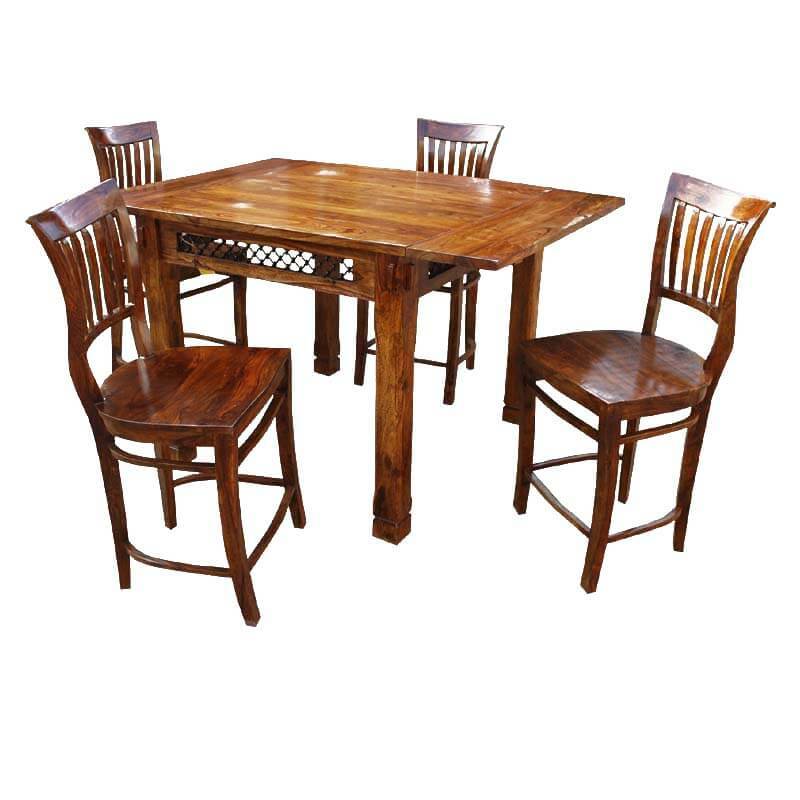 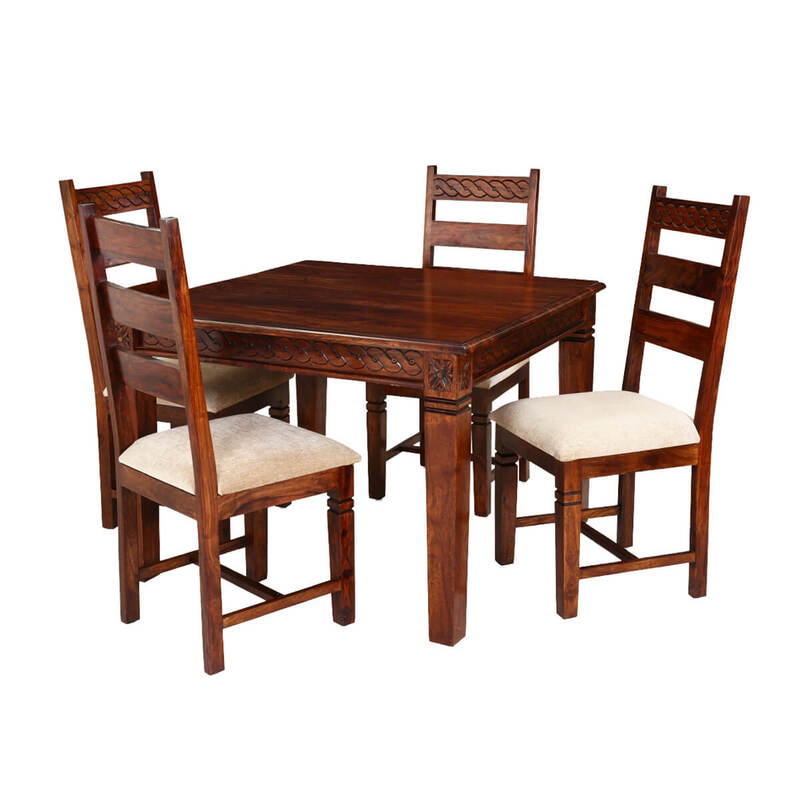 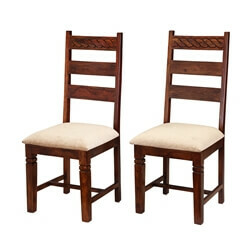 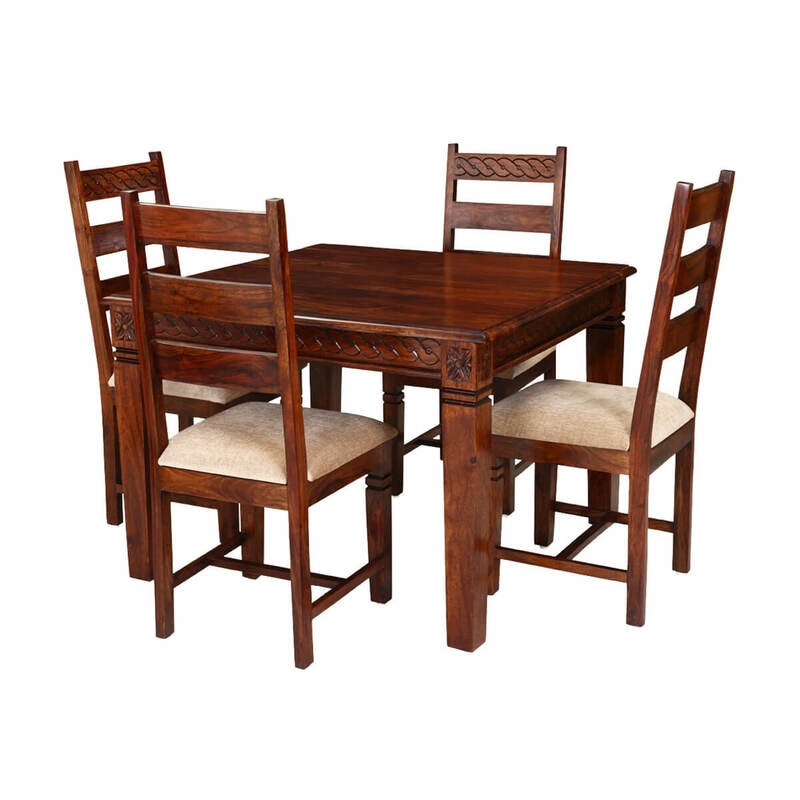 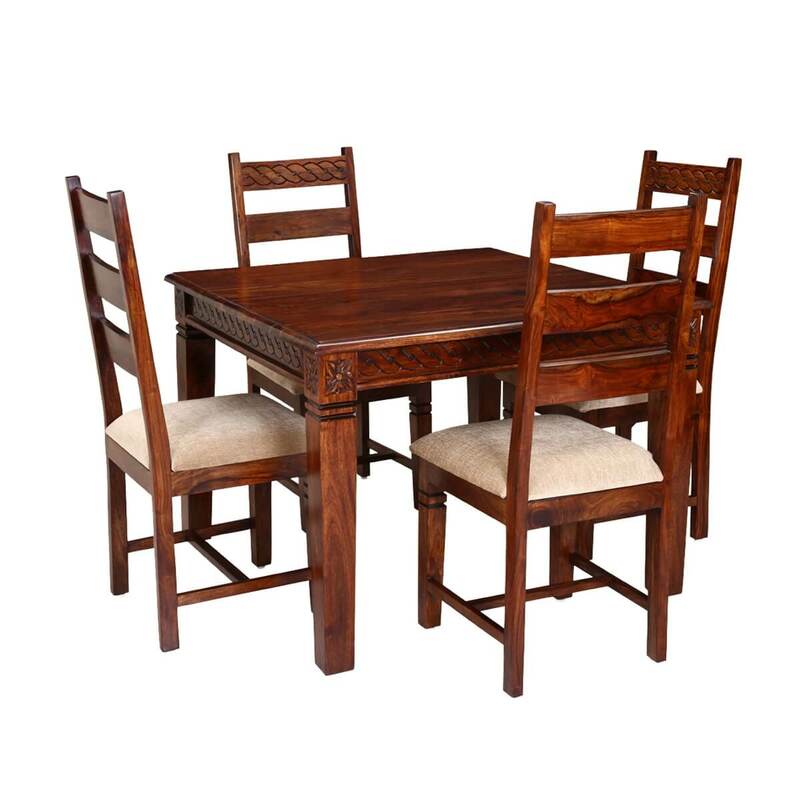 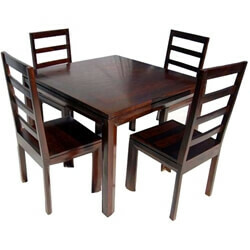 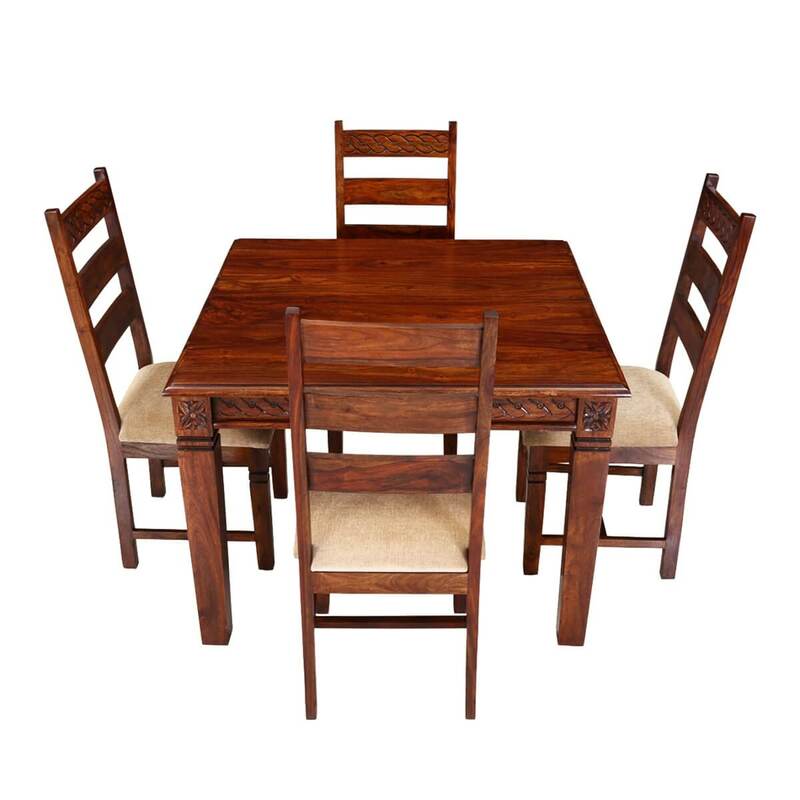 Our Handcrafted Solid Wood Square Dining Table and Chair Set is built with solid Indian rosewood, a premium hardwood ideal for fine furniture because of its strength and density. 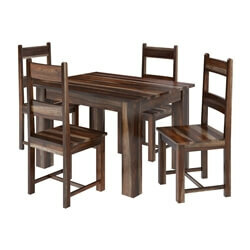 The four chairs are designed with a high back and a wide comfortable upholstered seat. 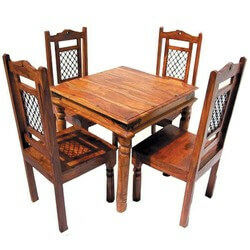 The dining chair is reinforced with an H stretcher for extra stability. 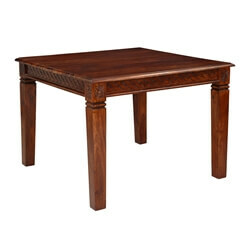 The square solid hardwood table is decorated with hand carved details on all four sides. 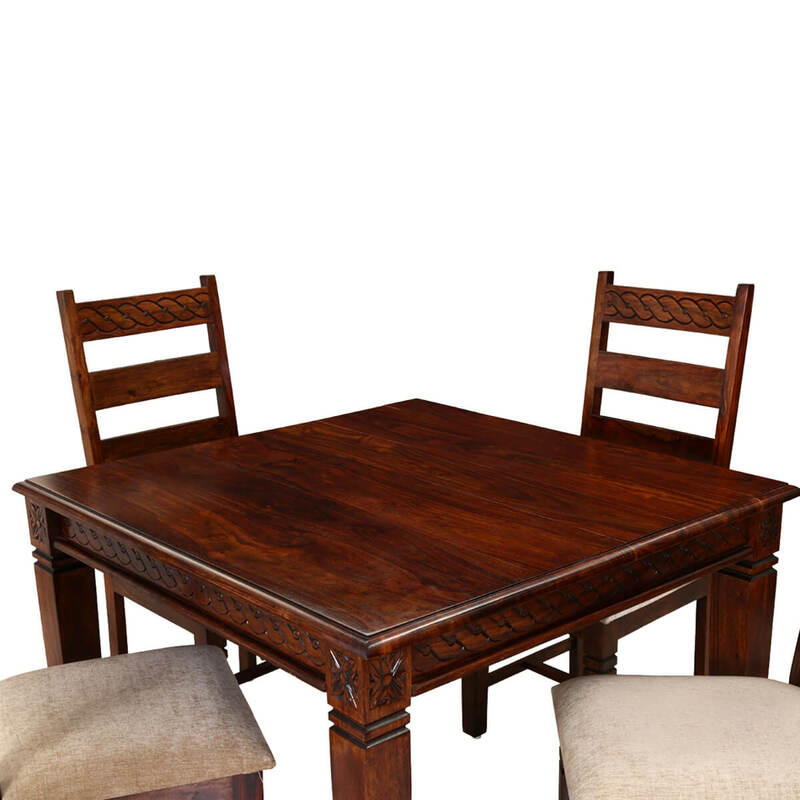 The square dining table top has a slight edge that extends beyond the frame.